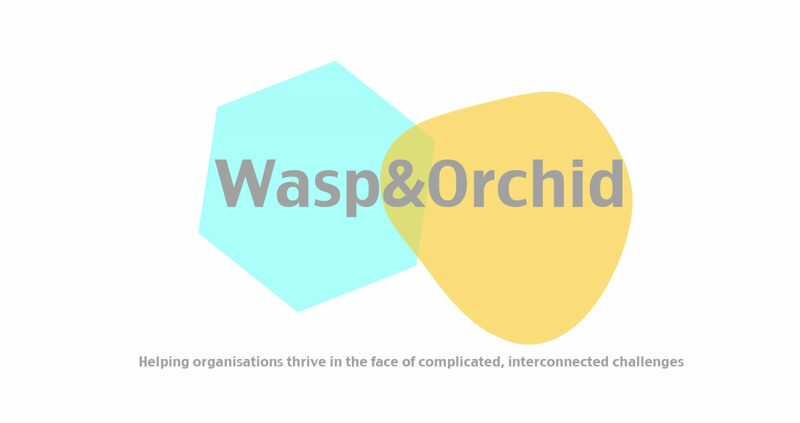 Wasp&Orchid use artistic and creative methods to help businesses thrive in the face of the complicated, interconnected challenges of the 21st Century. The challenges and risks we face in a globalised world are more complicated than they have ever been: climate change, unsustainable models of consumption and production, social inequalities. These challenges are complicated, interconnected and there are no easy narratives; no ‘right’ answers: instead we need new perspectives on how businesses and organisations play a vital role in creating the world we want to see. At Wasp&Orchid, we change mindsets and help businesses consciously create culture. As artists and designers we are trained to find new perspectives, to ask different questions, and to use uncertainty as a resource for innovation. Through creative and participatory methods, we take an ecosystems approach to look at the intersections of The Economic, The Social, and The Environmental aspects of ‘Wicked Problems’ and provide bespoke mechanisms to catalyse discussion, connection, and action so companies can rethink the sustainability of their visions, processes, and structures. We apply creative methods to help organisations thrive in the face of complicated, interconnected challenges: issues of ‘siloed thinking’ and its impact on growth; limited coordination and collaboration between departments and groups; lack of resource awareness, and how creativity can stimulate new excitement and energy. We believe in the power of the individual to have global impact. Organisations are a collection of individuals, and if we work together we can address our shared challenges and risks. Change the culture, change the world.